MBBS, MS, MCH – SURGICAL GASTROENTEROLOGY. Dr. Deepu Rajkamal Selvaraj M.S(Gen.Surgery) (M.Ch Surgical Gastroenterology) Dip. Endoviscerale Surgery, (France) Dip. ChirurgieColorectale ET Billiare, (France) Consultant General and Laparoscopic Surgeon, completed his training in MS (General Surgery) from Sri Ramachandra Medical College and Research Institute in the year 1999. He then completed his fellowship in Endoviscerale Surgery from the University of Bordeaux (France) in 2001. 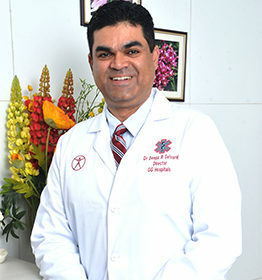 He obtained Fellowship in Advanced Laparoscopic Surgery from the reputed Maison Saint Protestante Bagatelle, Bordeaux, France in 2002. He has also been trained infertility enhancing gynecological endoscopic procedures at the University of Kiel, Germany. Working as a Clinical Assistant at St.Mary’s Hospital (London, UK), he trained extensively under Prof. Sir. AraDarzi KBE, an accomplished advanced laparoscopic surgeon and Head of Department of Colorectal Surgery. He then completed his MCh in Surgical Gastroenterology at Sri Ramachandra Medical College & Research Institute in the year 2010. He is also proficient in fertility enhancing endoscopic surgeries and Andrology. 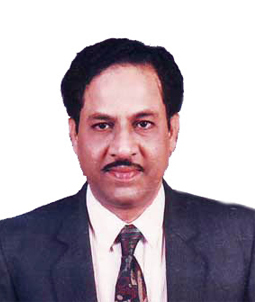 He is the consultant Laparoscopic Colorectal & Hepatopancreatobiliary surgeon at G G Hospital. Pre Registration House Officer : Medicine & Surgery Postings, SRMC Medical College & Research Institute, The Dr.M.G.R Medical University, Chennai, India. Junior Consultant Surgeon, Department of General Surgery, GG Hospital, Chennai, India. 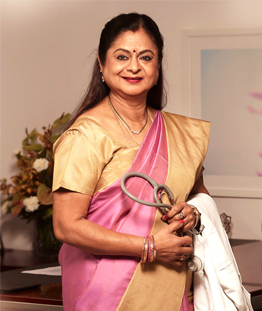 An advanced Laparoscopic surgeon, having done over 10,000 laparoscopic surgeries till date. 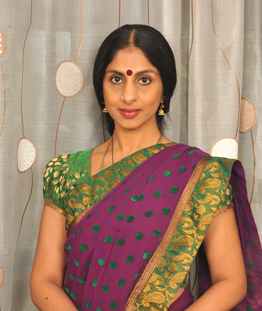 Dr Deepu Rajkamal Selvaraj performed the first Single Port Access surgery in South India in the year 2009. April 1995: Basic Life Support (BLS Course), SRMC Medical College & Research Institute, Chennai, India. June 2000: Laparoscopic Training & Workshop in Gynaecological Surgery, National University Hospital, Singapore. June 2000: Laparoscopic Training & Workshop in Endoscopic Spine Surgery, ELSA 2000 Conference, Singapore. June 2000: Laparoscopic Training & Workshop in Needleoscopic Surgery, ELSA 2000 Conference, Singapore. July 2001: Laparoscopic Training & Workshop. University Of Kiel, Kiel, Germany. April 2002: Laparoscopic Treatment Of Morbid Obesity. Course & Workshop. Institute Of Laparoscopic Surgery, Bordeaux, France, (E.A.E.S Course). May 2002: Laparoscopic Workshop in Colorectal Surgery. Institute Of Laparoscopic Surgery, Bordeaux, France, (E.A.E.S Course). July 2002: Laparoscopic Hernia Repair. Course & Workshop. Institute Of Laparoscopic Surgery, Bordeaux, France, (E.A.E.S Course). October 2002: Live Workshop & Symposium on GI Endoscopy. (Society Of GI Endoscopy of India) Med-India Hospitals, Chennai, India. December 1996: 56th Annual Conference Of The Association Of Surgeons Of India, Mumbai, India. December 1997: 57th Annual Conference of The Association Of Surgeons Of India, Bangalore, India. August 1998: International College of Surgeons, Zonal Conference, Indian Section, Chennai, India. December 1998: 58th Annual Conference Of The Association Of Surgeons Of India, Ahmedabad, India. June 2000: 7th World Congress Of Endoscopic Surgery, Singapore. July 2007 : European Association of Endoscopic Surgeons (EAES) Conference, Athens, Greece. “Management Of Bile Duct Injuries – Our Experience”, Paper Presentation at Association Of Surgeons Of India Conference- Pondycherry Chapter, August 1996. “Total Proctocolectomy For Ulcerative Colitis”, Paper Presentation at 57th Annual Conference – The Association Of Surgeons Of India, December 1997. “Incisional Hernias – Our Experience”, Paper Presentation at 58th Annual Conference -The Association Of Surgeons Of India, December 1998. “Small Bowel Tumours”, Paper Presentation at 58th Annual Conference -The Association Of Surgeons Of India, December 1998. “Incisional Hernias & Mesh Repair”. Thesis presented at The Dr.M.G.R Medical University, Chennai, India, in June 1999. “Laparoscopic Treatment Of Acute Sigmoid Diverticular Disease”. Thesis presented at The University Of Bordeaux, France in July 2002. February 1997: “Fluid Resuscitation in Burns”. SRMC Medical College & Research Institute, Chennai, India. December 1997: “Management Of Acute Pancreatitis”. SRMC Medical College & Research Institute, Chennai, India. September 1998: “Diagnostic Approach for Colorectal Malignancies”. SRMC Medical College & Research Institute, Chennai, India. December 1998: “Management Of Diverticular Diseases”, SRMC Medical College & Research Institute, Chennai, India. January 1999: “Management Of DVT”. SRMC Medical College & Research Institute, Chennai, India.